I’m sure you’ve witnessed the overload of information on eggs and all the different varieties you can choose from at the grocery store. There are Conventional (advertised with “From our Family to Yours” slogans), Omega-3 eggs, Free range eggs, Free run eggs and Pastured eggs. It can be very overwhelming to decide which is best for you and your family. It shouldn’t be this difficult to choose the right eggs – but it is!! The amazing fact about eggs is that they have 6 grams of the highest quality protein and 14 key nutrients. Eggs are one of the few foods considered to be a complete protein, because they contain all 9 essential amino acids providing the energy for a healthy, active lifestyle. Here is a quick guide to the many choices available to you in the egg aisle. Conventional – These are from the least happy hens and here’s why; about 6-8 hens share one cage, the cages are about the size of a laptop and are stacked on top of one another – which means the hens do not get to run freely and are unable to follow their natural diets. Conventional eggs allow farmers to have a large population of hens and therefore these are the cheapest eggs on the shelf! Omega-3 Eggs – These hens are fed flaxseed to increase their omega 3 content but the amount of omega 3 in one egg is not benefiting you or protecting you from heart disease! Eggs can be fortified with two different omega 3 fatty acids, DHA and ALA. DHA is found in oily fish and is proven to be a guard against heart disease. ALA is common in flaxseeds, walnuts and chia seeds and is also said to have heart benefits but has not been confirmed! One would have to eat about 3 eggs in one sitting to get a beneficial amount of DHA omega 3 but since eggs are high in cholesterol, we have to be mindful of the amount we eat! A higher level of cholesterol increases risks of heart disease. So really, the “omega-3” eggs you’re paying extra for are not actually improving your health! Free run – These hens do not live in cages, they live in a barn. Sounds pretty good, right? They got us again… free run eggs are from hens that aren’t “free to run” around. The barns are typically packed tightly with birds which means there is limited space to move around! Free range – These hens are free run in a barn but they have access to the outdoors (hooray!). In Canada, free range hens can roam where they please as well as consume some of their natural diets like grass and insects! These eggs tend to be more expensive but happy hens give us a better yolk! 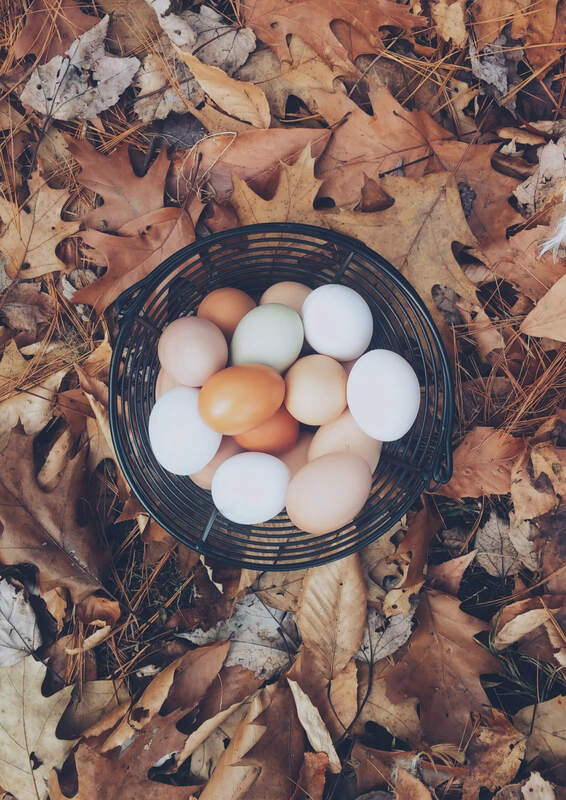 Pastured – Pastured eggs are similar to free range eggs but the only difference is pastured tend to be from smaller farms, with flocks between 500 – 1000 birds. Pastured eggs also tend to be organic but make sure to look for their certification! These hens are free to go outside in any weather and eat all the grass and insects they please… yummmm! Organic- To qualify as organic, the eggs must come from chickens that are fed only organic feed. The feed is free of animal by-products, synthetic fertilizers, pesticides or other chemical additives. No hormones or other drugs can be used in organic egg production and the hens must have access to the outdoors and not raised in cages. 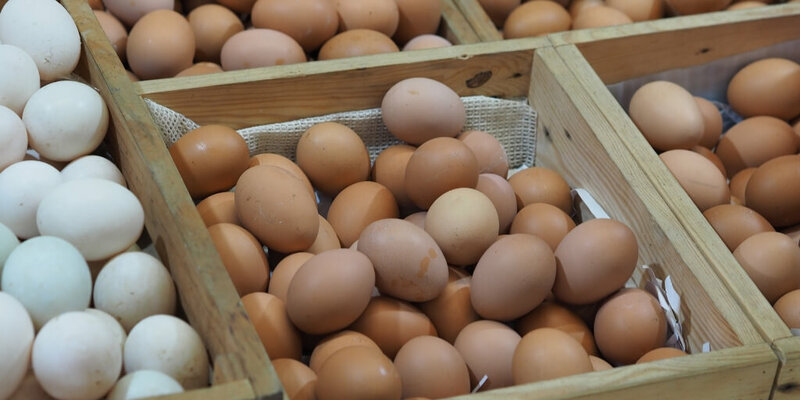 When shopping, it can be challenging to remember and understand the differences between the large variety of eggs with their similar looking labels and their unpronounceable terms! The industry’s job is to make things seem easier to understand but in reality, it is overwhelming. Therefore, it is our duty to understand what we are buying and why! It is critical to know where your food comes from, so you can ensure you’re getting exactly what you expect. Hopefully this shed some light on your ability to see that some food products are not what they seem to be and it is for your benefit to do a little research in what is going into your body and your little one’s bodies before purchasing it at the store! Get cracking and enjoy this complete protein any time of day!